For our party on Saturday, we also made some other foods. We made a brisket. This is our go to recipe for good meat for a large number of people. It turns out delicious and is super quick to make the night before. We got the original recipe from Alona's coworker a few years ago, but we've slowly been modifying it as we make this a few times a year. The best part is that all the work gets done the night before (and even then, it's about 15 minutes), then the brisket just cooks all night in the oven. 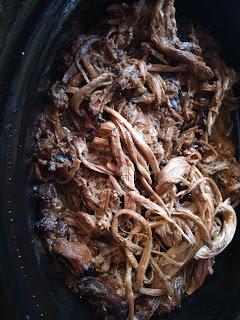 Then, in the morning, it's another 15 minutes to tear it up, separate out the fat and set in a slow cooker at warm for it to soak up the juices and keep warm for the party. It is great served on bread rolls or by itself. 2. Put the brisket in the turkey bag in the large metal pan. 3. 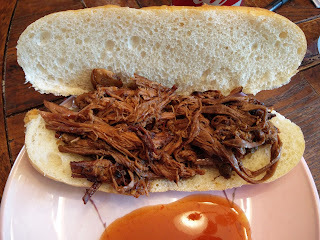 Pour soy sauce and worcerstershire sauce onto the brisket. 6. 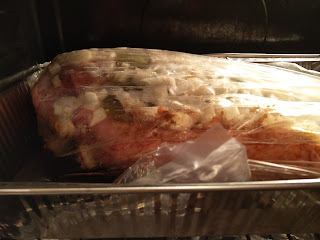 Bake for 10-12 hours at 250 F.
So easy and good and moist. This was the best one we've made yet. He has not developed a taste for it yet. He really loved the bread rolls and butter. He ate probably 5 of those. 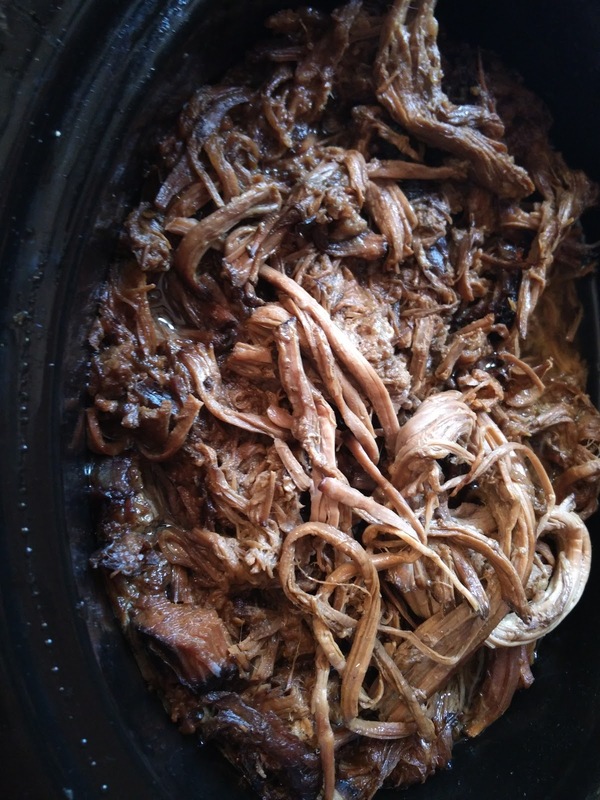 No changes needed...maybe make more brisket so we have more leftovers!? It doesn't seem to matter how much we make, the leftover amount is always the same!